A.S. Electrical Services specializes in projects like electrical retrofitting, auditing, and complete rewiring. 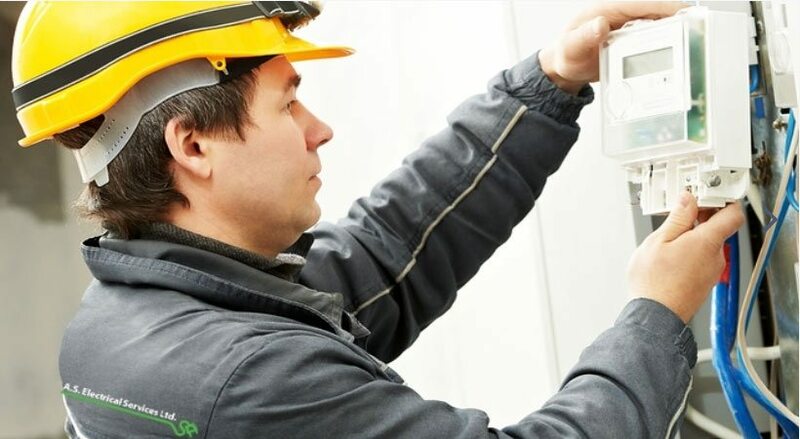 Our expert electricians have experience working in industrial, residential, and commercial buildings across the GTA. We have the qualifications and skills needed to see the most complex electrical projects through to completion. Founded in 2006, A. S. Electrical Services is a company built on the strong foundation of electrical service knowledge and experience in the commercial, industrial, and residential (including condominium) sectors. Our founder, Adrian Syposz, has decades of experience in the electrical service field – sixteen years in high-rise electrical work, and seventeen in the commercial and industrial sector. Since the beginning, A.S. Electrical Services has had a reputation for commitment to our clients and for providing high service quality with every project completed. This reputation has led us to servicing dozens of properties across the GTA, with services ranging from lighting audits to electrical retrofitting, and everything in-between. Choose A.S. Electrical for your industrial, residential/condominium, and commercial electrical needs in Toronto and the GTA. Contact us today to get in touch with a licensed contractor/electrician to complete your project. We look forward to working with you to deliver a high-quality, safe, long-lasting result.